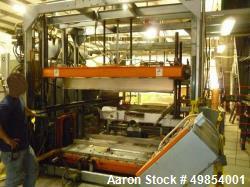 Below is Aaron's inventory of unused and used plastic thermoforming equipment. 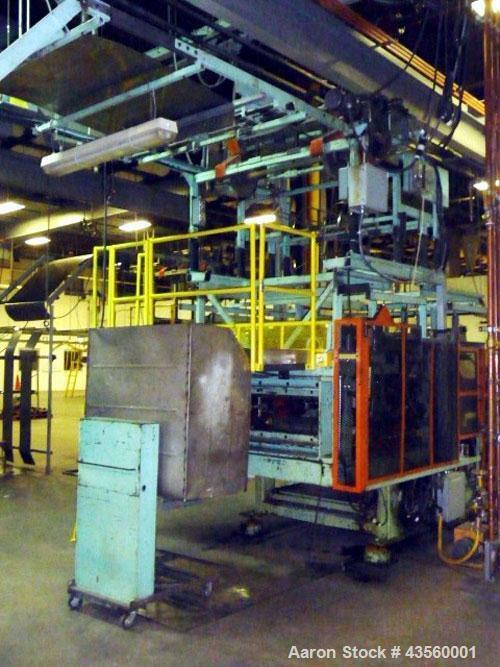 If you are looking to sell your used plastic thermoforming equipment submit a request online or contact Erik Eichert at 630-238-7480. 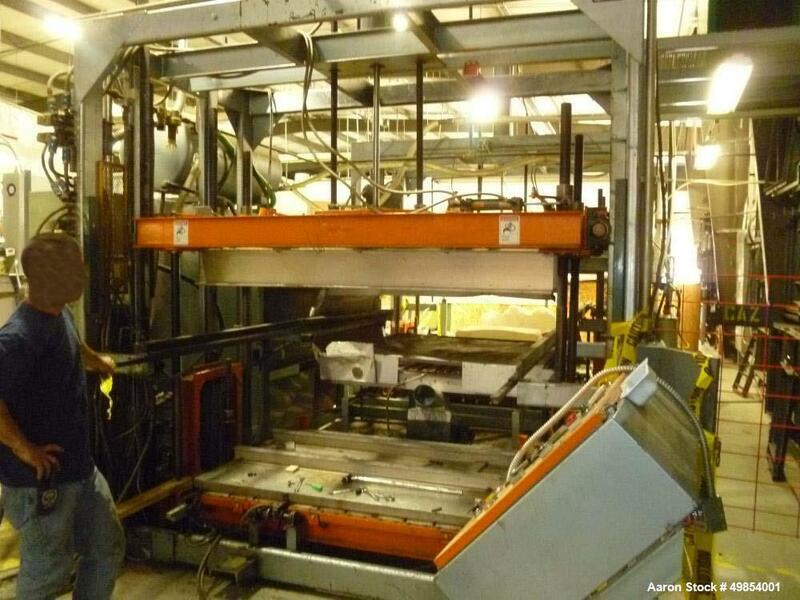 Used- Vacuum Forming Machine for Making Signs. 4 zones, approximately 500 gallon vacuum tank. Opening dimensions 244" length x 102" width x 20" height. Overall dimensions 120" length x 288" width x 84" height. 250 volt fuse, 208/3 phase. 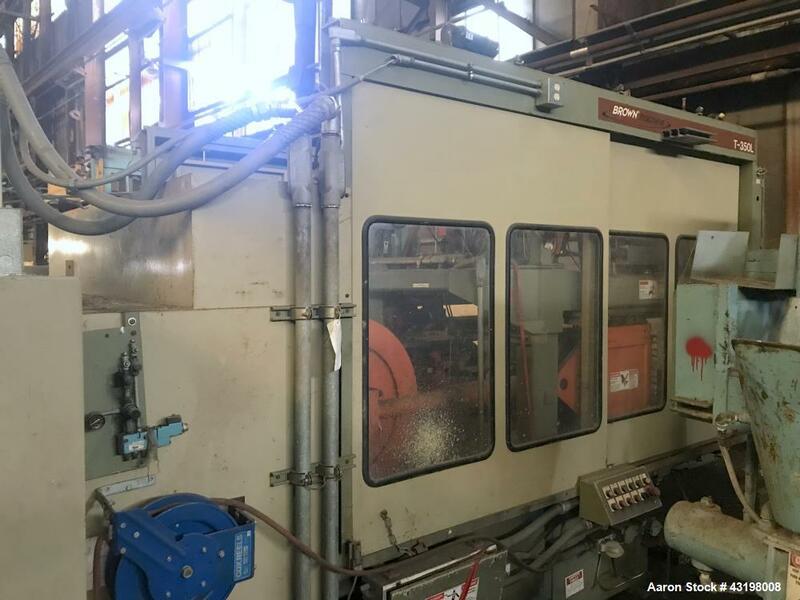 Used- AAA Double Ender, Model: MB-4860-A. Size: 4' x 5'. Top Stroke: 36. Bottom Stroke: 30. Heat Source: Ceramic. Top Zone: 5. Bottom Zone: 5. Part #: QOUHBA1AZJ7E. 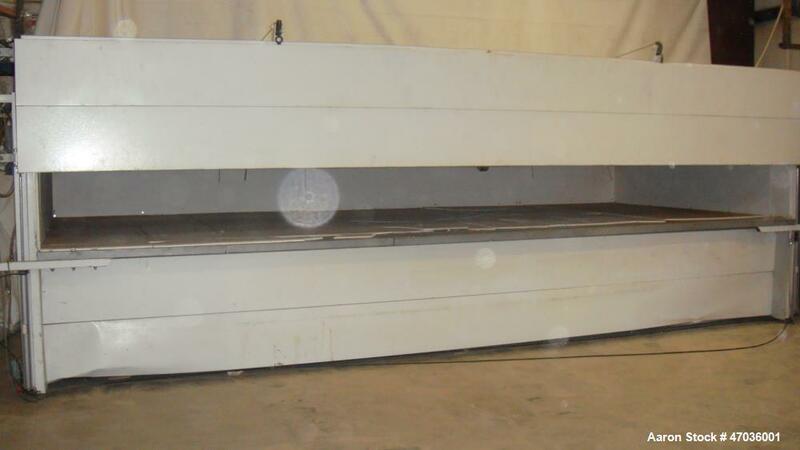 Power/Voltage: 480V, 164 A.
Used-Brown Horizontal Trim Press, model T350l, 30 ton max compression, 16.25" x 50"(413mm x 1270mm) stationary platen opening, 18" x 72" stamping platen size, 4.5"(114mm) - 16.5"(419mm) stoke adjustment range, 53"(1346mm) max sheet width, with controls, 480 volt, serial# 14688 new 2004. 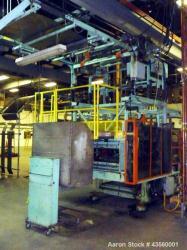 Used- Brown Trim Press. 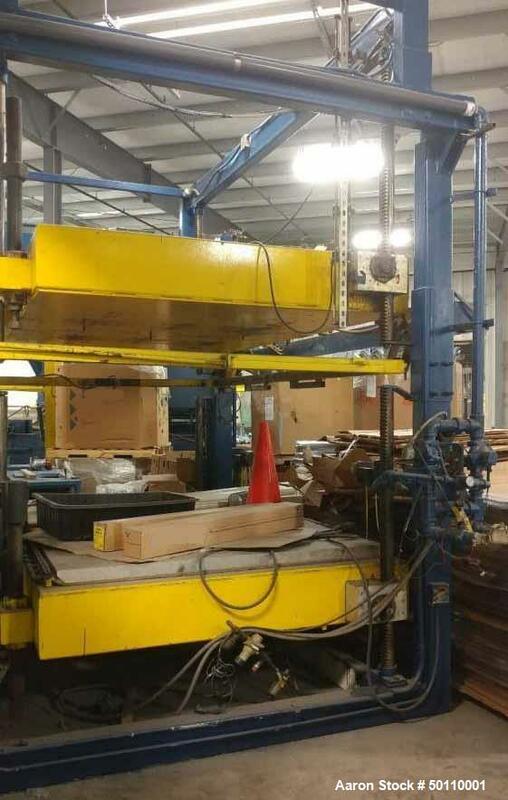 38" X 12" Finish material window opening, has dual fly wheel action, driven by a 20 hp ac motor, with inverter, operator controls rebuilt in 2009 by BCS systems integrating control, includes servo motor and control for "Kicker" for finished product. Used- Brown Trim Press, Model T-300. 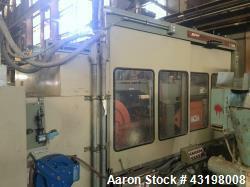 11.75" x 37.5" Wide cutting window, driven by AC motor, with canopy, control panel, 480 volt, serial #8791.